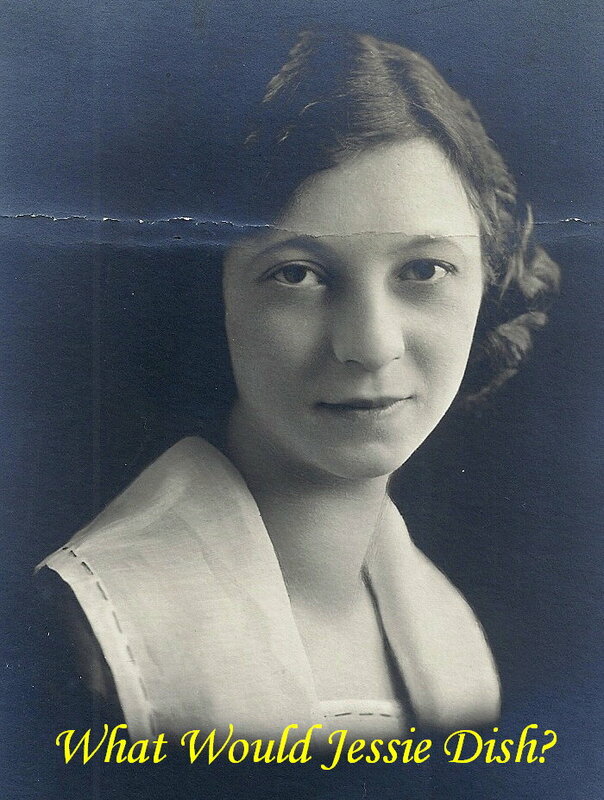 A few years after my grandfather’s death, my grandmother and I attended a tennis exhibition with Bobby Riggs (he of “male chauvinist pig” fame, who lost to Billie Jean King in a much-hyped “The Battle of the Sexes” in 1973). Mr. Riggs was thrilled to see my grandmother when she went over to introduce herself, gave her a big smile and kiss, and insisted he remembered both her and my grandfather. When she introduced me to the former Wimbledon champion — I was playing tennis in junior tournaments at that time and was my major passion – I was overwhelmed (though I rooted for Billie Jean in their match!). 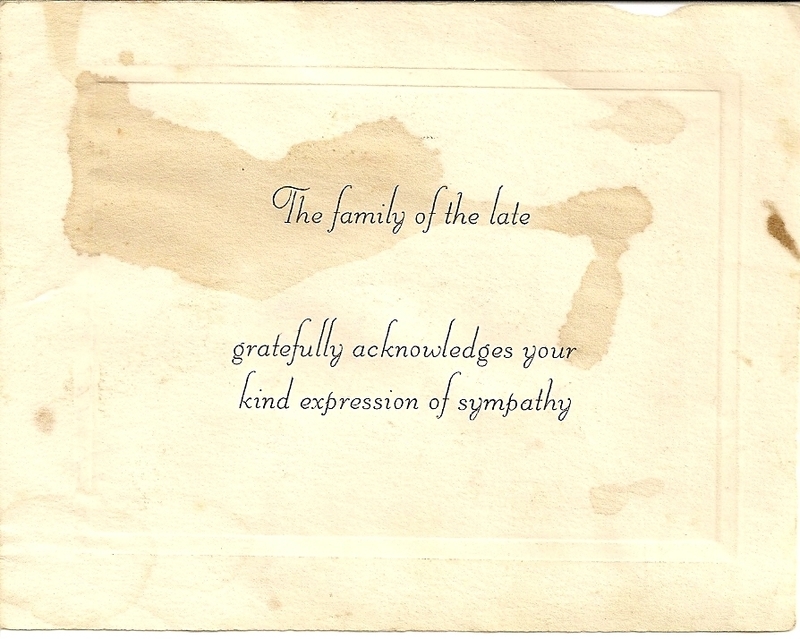 My point in this diversion is that these note-cards, which read “The Family of the late [BLANK SPACE TO BE COMPLETED] gratefully acknowledges your kind expression of sympathy, “ would have been leftover from the countless notecards my grandmother would have had to send out in response to my grandfather’s death. 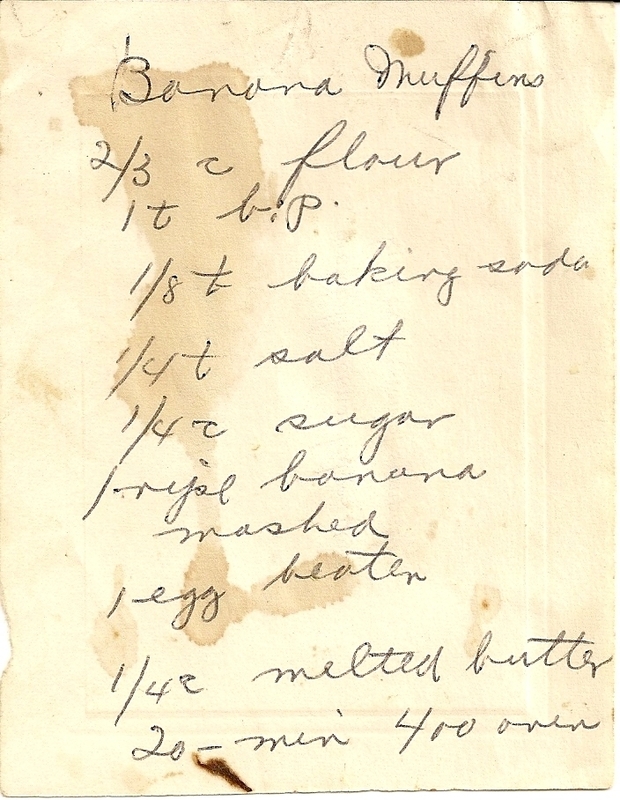 So I suspect my dating of this recipe to the very end of the 1960s or early 1970s makes sense, along with the banana bread and carrot cakes which were in vogue, way back in those days. 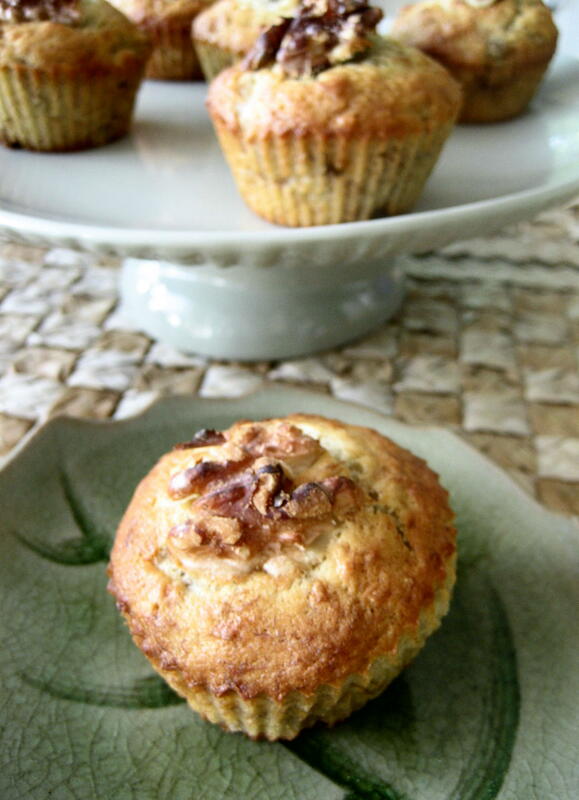 The recipe makes a very light, tender-crumbed small muffin. It has a delicate banana flavour, is not too sweet, and makes the ideal teatime, brunch, or breakfast treat. There is a very rich buttermilk-banana bread recipe I always use (TBBIF – “to be blogged in future”) which is my standard, but this one makes for a good alternative, especially for brunches with lots of rich food – perhaps a good snack for a day at the races, while watching a boxing match, or some other sporting event. Preheat oven to 400 degrees, with rack in lower-middle position. Place (preferably reusable silicon) muffin liners in tin, or else grease with extra butter or use cooking spray. 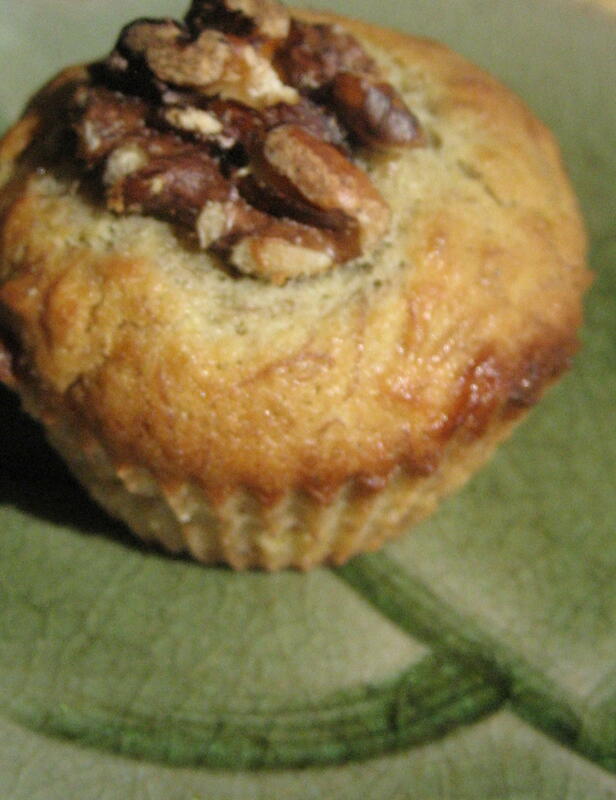 Mix mashed banana with baking powder, baking soda, and sea salt. In separate bowl, pour butter over sugar, beating until well-blended, with crystals dissolved. Add egg, and beat until thoroughly mixed in (no white or yolk traces visible). Add butter-sugar-egg to banana, mix until completely incorporated. Stir flour into mixture and fold in, just until there are almost no traces of the flour. Add walnuts gently, if using. 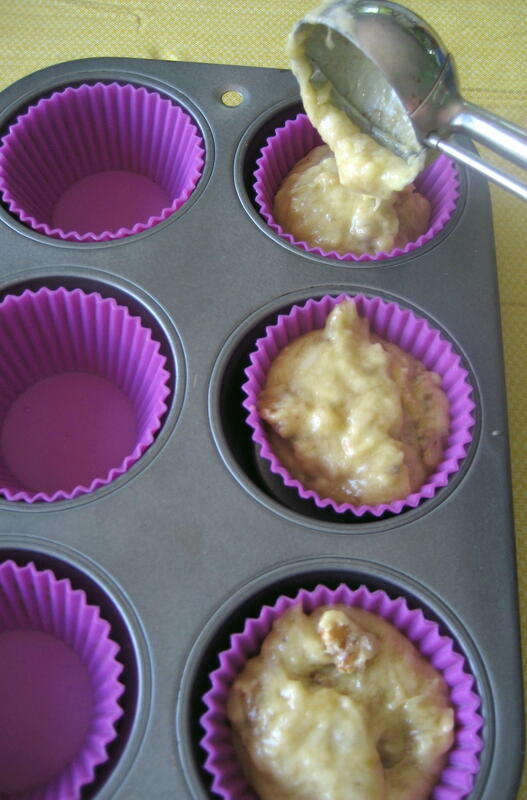 Scoop into muffin tins with ice cream scoop or use spoon to place batter into liners. Bake for 20 minutes, or until golden brown and tester comes out clean, with just a few moist crumbs. This entry was posted in Baking, Brunch, Recipes Misc, What Would Jessie Dish and tagged Baking, Banana, Breakfast, Brunch, Muffins, WWJD. Bookmark the permalink. Absolutely fascinating. Jack Dempsey, pocket watches, tennis… Looking forward to Wednesdays. Thanks, Kip. You’ll get to try most of these recipes, too! 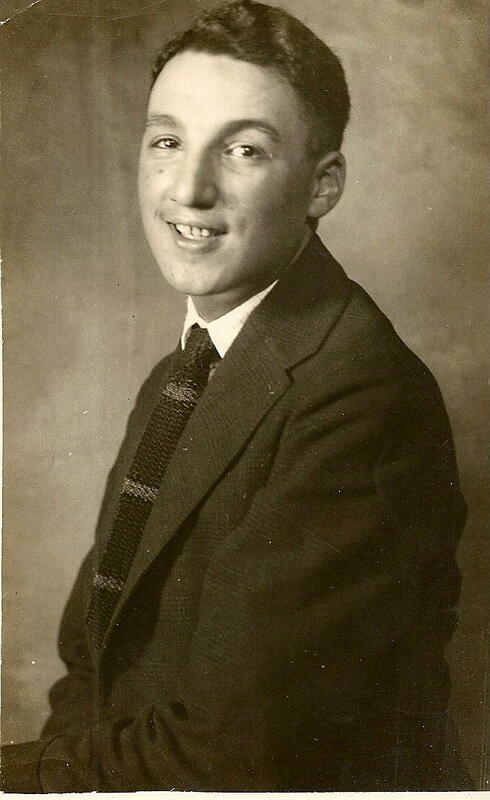 Salut, Pierre. Je pense que tous les muffins t’aiment, aussi! Merci. Nice! Now i have something else i can do with my old bananas! THANK YOU!